The PLUS Midwest Chapter selected the Special Olympics Illinois as their Chapter Charity grant recipient. 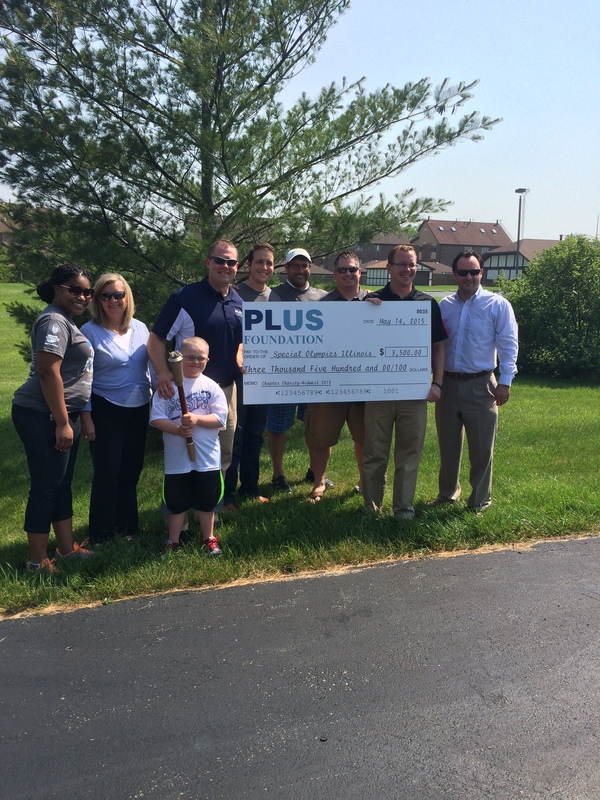 As part of the PLUS Foundation’s 2015 Chapter Charity program, a volunteer event took place on June 9th. Volunteers cheered the runners to the finish line and participated by running in the race. A check for $3,500 benefiting Special Olympics Illinois was presented to representatives from the organization. Special Olympics Illinois offers adults and children with intellectual disabilities an opportunity to participate in year-round Olympic-type sports competition, providing opportunities for physical fitness, courage and joy. This entry was posted in @PLUS, Chapters and tagged Chapter Charity, Midwest Chapter, Special Olympics by plushq. Bookmark the permalink.